We love Harry Smith. Everybody does. 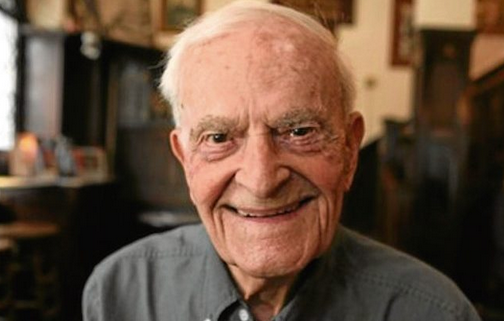 He's 95 and he still fights Nazis, much as he did in WWII. When he commented on Trump's visit to the UK, some rookie fool decided to reply with scorn. And got burned. It was beautiful. 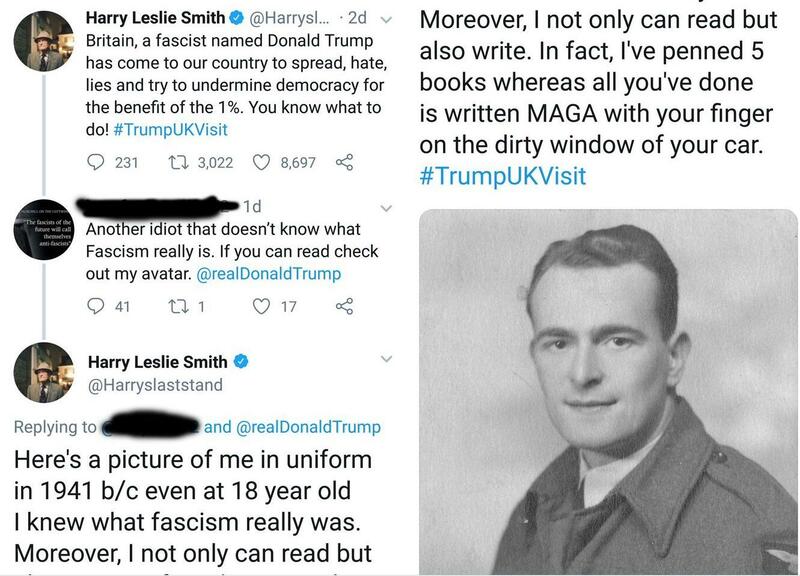 Bravo, Harry !